It's nice to win prizes. We may say they don't matter, that they're not the reason we do whatever we do, but a bit of recognition is always welcome. Last Tuesday, The New European was presented with the Chairman's Award at the British Press Awards. 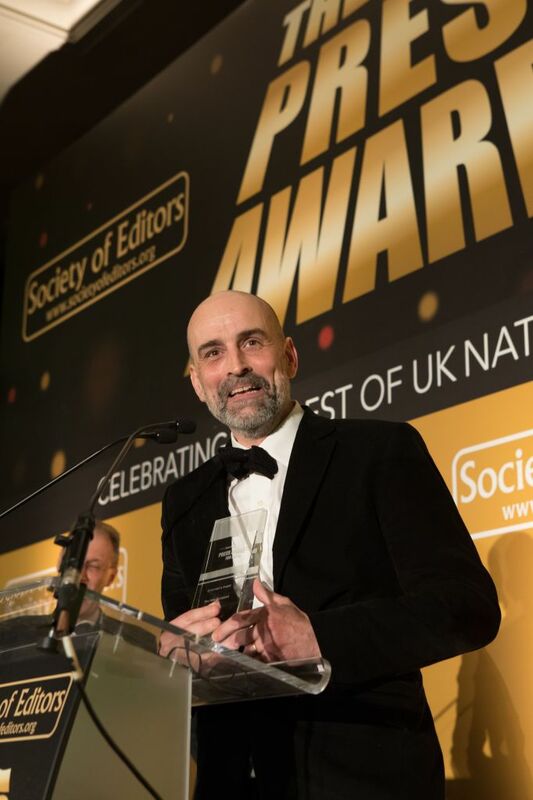 Newspapers cannot "enter" this category, the prize is in the gift of the judges and is awarded only when they want to honour something special (though they do manage to find a winner most years). 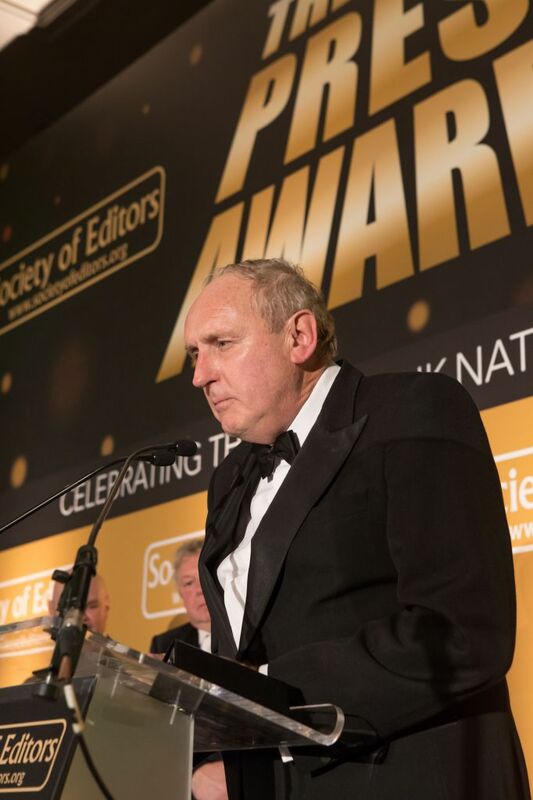 Well, for a start, Michael, the Press awards are open only to national newspapers (although the London Evening Standard is also allowed in) and the two publications you mention are periodicals. And for what reason? Because it was innovative. Because editor Matt Kelly was astonishingly quick off the mark in identifying a potential market, astonishingly quick in getting the first issue on to the news stands, and astonishingly quick in securing the services of far better writers and bigger names than this blogger to move things along. In a year that had seen the birth and death of The New Day, here was a print success story to celebrate. The Trinity Mirror group, with all its resources, managed to keep its baby alive for only three months. Archant, a far smaller local newspaper group, did not expect its little one to survive for more than a few weeks, yet it's now a strapping seven-month-old showing every sign of reaching at least one birthday. It is very good at what it does. In the seismic year of Brexit, the battle for No.10 and campaigning journalism, the winner had its finger on the pulse of the national conversation. Not only did it shape both the agenda and the narrative, it reflected the temper of a large part of the country in a year of political upheaval. It was a must-read across the political and public spectrum and its strong and provocative voice never wavered. From crusading reports on press freedom to Brexit, the Sepsis scandal, the madness of drivers using mobile phones, wasteful foreign aid spending, betrayal of Afghan interpreters, the harm caused by ‘plastic poison’ and the battle to end the witch-hunt against British troops, the conviction of this paper’s commentary and campaigning in 2016 was only matched by its energy. It is also never afraid to have a strong opinion. It is the job of a newspaper to hold power to account and to forensically question and probe those who act in our name. The decision of the judges was that it dominated the narrative and produced agenda-setting and stand-out coverage in 2016. The Newspaper of the Year for 2016 is the Daily Mail. Dacre was there to collect the award and make a brief acceptance speech commending his "brillliant" journalists and an industry which had "still got a hell of a life in it", before compere Nick Ferrari ordered everyone to the bar. SubScribe, watching the event on a streaming service, certainly felt in need of a drink. 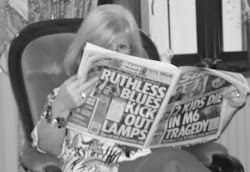 A paper that bends and distorts facts to its will; a paper whose stock in trade is to invite readers to hate or mock people trying to go about their daily lives; a paper so cocksure that it deliberately sets out to make its core readership of middle-class women feel guilty or inadequate. This was what the newspaper industry held to be the shining example of our trade? 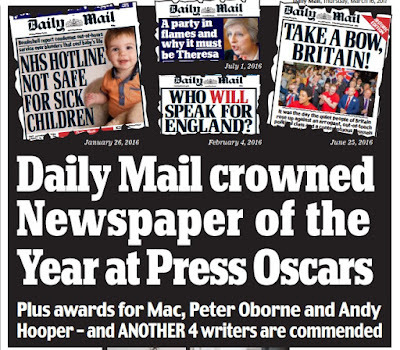 How the pernicious, mendacious, xenophobic Daily Mail, a publication that produces disgraceful front-page headlines like 'Enemies of the People', won Newspaper of the Year in last night's British Press Awards is quite beyond me. Others, mostly of the pop persuasion, came back to argue that - unlike most news organisations these days - the Mail invested in journalism, paid people decently, understood its readers, and actually exercised a great deal of rigour in making sure that what it printed was right. As SubScribe has frequently pointed out, accuracy is not the same as truth or balance, but diligence in making sure that you can defend what you say is a start. Nobody would deny that the Mail is the most polished newspaper to come out of what used to be Fleet Street. It - or rather Dacre - does have the knack of knowing exactly what will strike a chord, which battles to fight, which stories will amuse. From conjuring up imaginative picture spreads out of nothing to telling the Government what to do, it does everything it does better than anyone else. Look back at the citation and its list of campaigns. Brexit? The Telegraph, Express and Sun all campaigned every bit as vigorously. Mobile phones? The Sun was there first. Foreign aid? The Times and the Express have been there, done that. Afghan interpreters? Ditto. And so it goes on. But no one campaigns quite like the Mail, and it certainly achieves results - most notably, in SubScribe's opinion, on charity cold-calling. 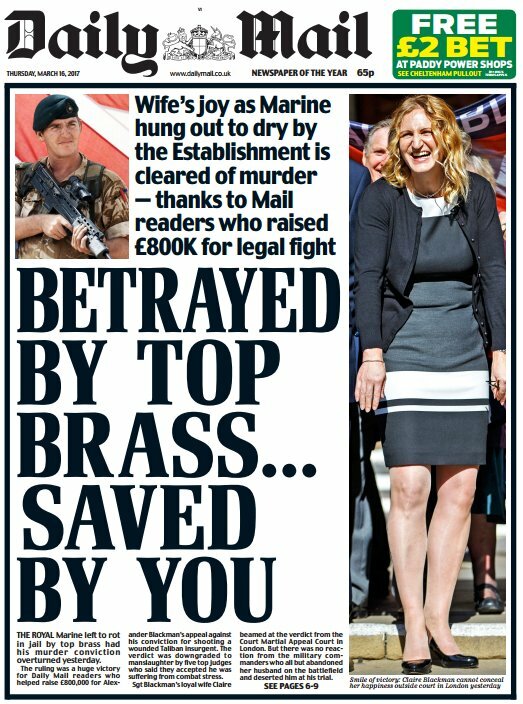 Only this week it was claiming victory - by applauding its readers' contributions to the defence fighting fund - in the battle to get Marine Alexander Blackman's murder conviction overturned. Blackman had, the paper said, been hung out to dry by top brass. It was to be hoped that no other soldier would be charged with murder for a battlefield killing. Blackman was the first serving soldier to be found guilty of murder on active service after shooting a dying Taleban insurgent. Video footage taken from helmet cameras provided evidence that he knew exactly what he was doing and that he knew it was wrong. He even said: "I've just broke the Geneva Convention." The Army - which has such an admirably proud record of treating detainees with humanity and respect - had no option but to bring a prosecution against him for murder. His conviction yesterday, while deeply saddening, affirms Britain's unyielding commitment to the Geneva Convention - no matter how grievously our soldiers are provoked. As time goes on, more information comes to light, understanding of the complexities of a situation grows, views may change. It is not, perhaps, unreasonable for the Mail to adjust its stance in such circumstances. The same might be said about its attitude to child refugees - a call for compassion last April to leader column silence on the ending of the Dubs scheme last month. Maybe people were taking advantage, maybe there were better ways to help. The thing is, though, that while the Mail allows itself to reverse ferret (and is punctilious in admitting as much when its new opinion runs counter to its prevailing argument), anyone else who does so is a hypocrite to be reminded of what they said earlier. This "one rule for us, another for the rest of the world" attitude is pervasive, but was most sharply in focus during the referendum campaign and its aftermath. The Mail's coverage was relentlessly one-sided - as was its right, as an independent newspaper - but it had a constant eye out in case anyone or any organisation that "ought" to be impartial strayed towards the Remain side of the argument. The BBC, always a target (publicly-funded, unfair competition) was commended for its "surprising balance" - which meant that any time someone said something that might help the Remain cause, someone else had to put forward a Leave counter-argument. Since there were lies told on both sides, this may have been balanced, but it was far from informative. So it was, too, with the Governor of the Bank of England, the IMF, the CBI, the Treasury, even the head of the NHS: all should have taken a vow of silence while the Mail should be free to say whatever it liked. 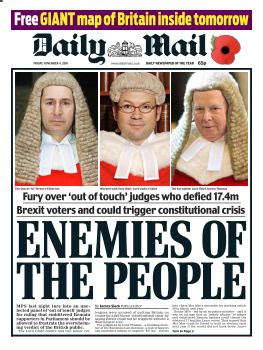 Once the battle had been won, it was the "will of the people" - as interpreted by the Daily Mail - that should hold sway over unelected Eurocrats and judges. Oddly, it seems the unelected editor of the Daily Mail and the unelected Prime Minister should also hold sway over elected MPs. Freedom of speech is a vital democratic right for a free Press that "holds those in power to account", Freedom of speech for those who hold a different view from the Mail - celebrities with opinions on refugees, in particular - is another matter. They can, of course, say what they like, but they'll be pilloried for it. And if they suffer because trolls and stalkers have been worked up into a lather by intemperate columnists, well, the Mail doesn't condone such behaviour - but nor will it take responsibility for it. 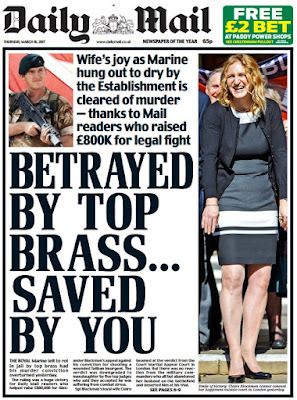 These are the sorts of things that make people dislike the Mail and make some journalists uneasy about the honour bestowed on it last Tuesday. About a million and a half people buy the paper every day, ten times as many look at its website. But that leaves some 50 million who don't. The vast majority of those will be ambivalent about the Mail; many thousands actively detest it - but how many of those ever look at it? I don't care for East Enders, but I don't watch it. I've made my decision on the basis of what little I've seen and heard about it. Hardly an informed judgment. The same could be said of the non-reading Mail haters. The only real evidence we have is those people who do buy the paper and stick with it. Paul Dacre is clearly giving them something they like - or at least tolerate. So by what measure should we be judging which newspaper is most deserving of prizes? The quality of the journalism? And how would you assess that? By the amount of effort that goes into it? Its readibility? Its relevance to its audience? The impact it makes? Its business model and ethos? Its politics? If papers are free to campaign for justice for poppy sellers, are they not also free to campaign to secure the election of the political party they favour? We like to say they have a duty to inform, to present facts, but most "facts" are subject to interpretation. There are experts in every field with differing opinions; there is no absolute truth. Where many of us take issue with the Mail - and also with the Express and Telegraph, though they are not under discussion here - is its ability to play down or even ignore inconvenient facts. But aren't the Guardian and the Mirror just as partisan on issues close to their hearts? 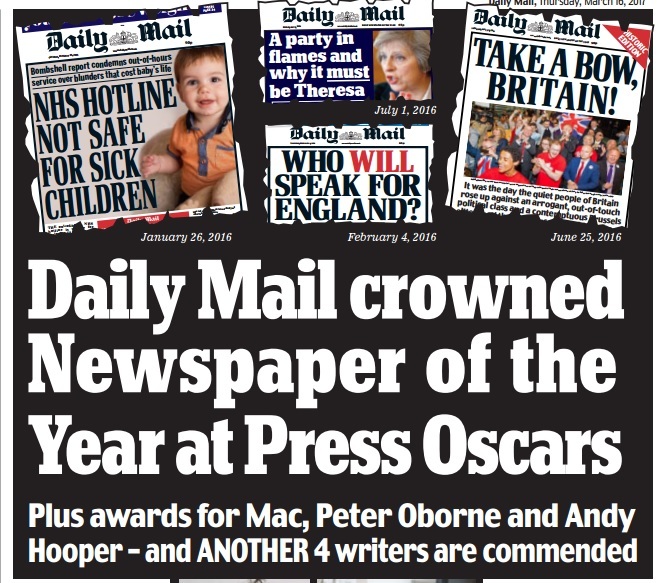 Interestingly, it seems that the Mail's closest rival for the crown this year was the i - the paper that tries hardest to be impartial, but which just doesn't have the same confident swagger. Maybe it all comes down to that swagger: to the lesser children in the playground sucking up to the classroom bully. More likely it is simple admiration for someone who has come up with a viable commercial model in a declining industry. If so, the same could be said for The New European. A hat was tipped to its "brilliant roll call of contributors", but the prize was really for its "unusual success - the counter-intuitive story of a new print launch in a digital age". Like the dog walking on its hind legs, the accolade was not so much for the excellence of its journalism as for the fact that it existed at all. 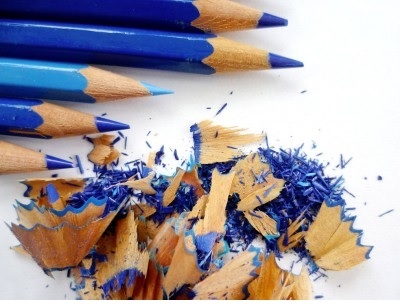 Those of us who admire The New European and sometimes despair of the Mail would do well to remember that both are partisan, opinionated papers with a direct connection to a dedicated readership. The Mail is mean and shouty and cruel. It is not a good role model for budding journalists or students of ethics. It is certainly not a good advertisement for responsible, compassionate journalism. But, yes, after an initial gasp of dismay, SubScribe suspects that by most measures, the Mail probably was THE newspaper of 2016 - rather as it was inescapable that Time would name Trump its person of the year. It virtually governs the country, for heaven's sake. So as the Emperor Dacre was duly crowned, plenty in the crowd were cheering. But there are many more of us on the sidelines muttering about his clothes. I was shocked by this award Liz, but you put it so much more elegantly and intelligently!